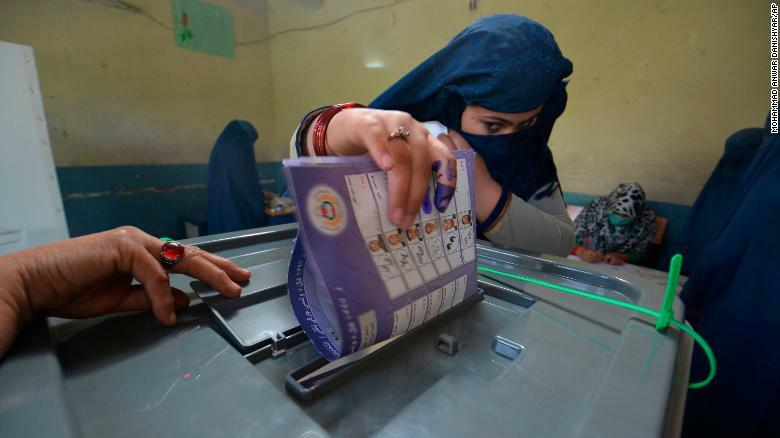 Kabul, Afghanistan (CNN) At least 28 people have been killed in violent incidents across Afghanistan as people voted Saturday in long-awaited legislative elections, officials said. Meantime, balloting hours were extended — some into Sunday — at many polling stations across the country after technical glitches and lack of staff delayed operations, leading to long lines, the country’s Independent Electoral Commission, or IEC, said. The elections already had been delayed for three years because of security concerns, and the assassination Thursday by the Taliban of an important provincial police chief only added to many Afghans’ sense of unease as they turned out to cast their ballots. 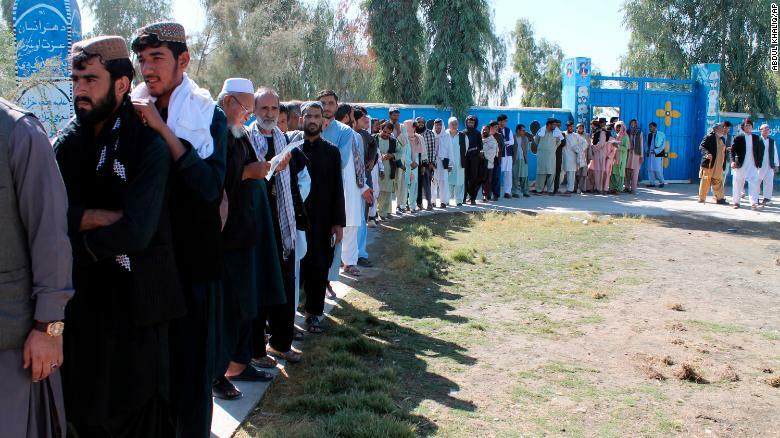 Afghan men line up to cast votes Saturday in Helmand province. Seventeen civilians, 10 police officers and one army officer were killed, Afghan Interior Minister Wais Ahmad Barmak said, adding that at least 192 incidents had also left dozens of people injured. One deadly attack was carried out by a suicide bomber who targeted a polling station in Kabul, the capital, said Basir Mojahid, a spokesman for the city’s police chief. The attacker was identified and detonated his bomb before reaching the station, he said. The death toll wasn’t immediately known. An explosion in Kabul killed a child as voting was underway, Italian-run nongovernmental organization EMERGENCY said, adding that its staff had received 36 patients needing treatment. 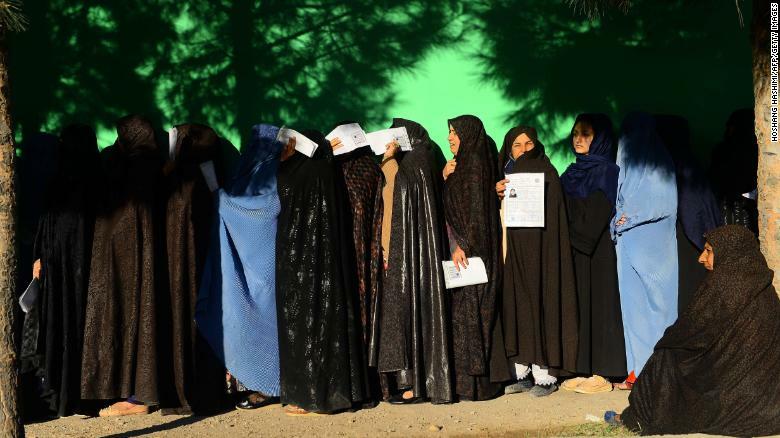 Afghan women line up to cast their votes Saturday outside a polling station in Kabul. 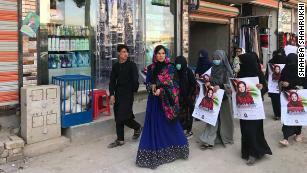 Much rests on the vote: Hundreds of women and young people are among candidates standing for election, riding a wave of hope that the notoriously corrupt and inefficient political system in Afghanistan can be overhauled. “Today we proved together that we uphold democracy. With casting our ballots without fear we honor the sacrifices of the fallen,” he tweeted. I just voted. And I thank the ANDSF, the IEC staff, and the great people of #Afghanistan who made it possible to vote despite the risks involved. Today we proved together that we uphold democracy. With casting our ballots without fear we honor the sacrifices of the fallen. It’s not yet clear how logistical problems at many polling stations will affect turnout figures, but the IEC said 401 polling stations would open on Sunday — including 45 stations in Kabul — due to Saturday’s technical and staffing issues. Voter enthusiasm may already have been chilled by the killing of Gen. Abdul Raziq Achakzai, Kandahar’s police chief, the latest in a long line of violent attacks in the country. Two Americans also were wounded in the shooting attack. Voting in Kandahar was delayed for a week after Raziq’s death. A woman casts her vote at a polling station in Jalalabad, the capital of Afghanistan’s eastern Nangarhar province. Efforts were being made to resolve delays in the opening of some of the voting sites and centers due to technical issues, Shaima Alam Soroush, a deputy spokeswoman for the IEC, told reporters in Kabul. A campaign manager, Israr Karimzai, told CNN that he had “20 reports of different centers across the country where people are being denied their right to vote” because “no ballot papers or no biometric devices or IEC staff have shown up” at the polling stations. A candidate in Kabul told CNN she had been waiting for more than an hour to vote. “This is a failed process,” Mariam Solaimankhil said. Idrees Stanikzai, also in Kabul, told CNN that voters were complaining about still waiting for their polling station to open more than two hours after their arrival. 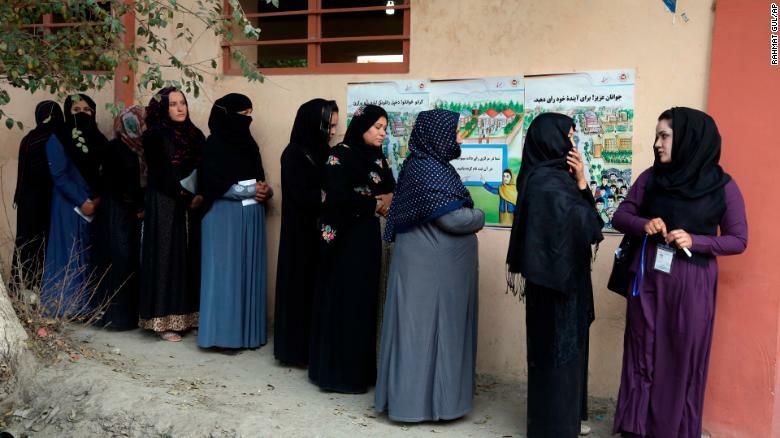 Afghan women wait in line to vote Saturday at a polling center in Herat province. The head of the provincial council in Maidan Wardak province, Sharifullah Hotak, told local Afghan TV station Shamshad that the biometric system in voting centers was not working in the whole of the province. And in Herat, hundreds of people were standing in line as polling stations there also experienced technical issues. More than 20,000 polling stations were open across the country, with the exception of Kandahar and Ghazni provinces, where voting will take place at a later date, Afghan Interior Ministry spokesman Najib Danesh said earlier. Some 70,000 members of the Afghan forces have been deployed to ensure the security of the elections, he said. The risks have not deterred more than 2,500 candidates nationwide, including more than 400 women, to run for 250 seats in the Wolesi Jirga, the lower house of the Afghan parliament. Maryam Samaa, a 26-year-old former journalist and news presenter on the nation’s largest private broadcaster, TOLO TV, felt a duty to stand, she told CNN. She is running for one of Kabul’s 33 parliamentary seats. Only 9.6% of respondents were satisfied with the work of the current parliament, a survey conducted this year by the Afghan Institute for Strategic Studies, an independent research institute based in Kabul, found. CNN’s Ehsan Popalzai and journalist Ali M. Latifi reported from Kabul, and Laura Smith-Spark wrote from London.